The Minnesota Twins bolstered their already tough bullpen this week. Earlier last week the team claimed Randy Flores, a veteran left hander from the Colorado Rockies. Then on Saturday, the Minnesota Twins claimed left handed closer Brian Fuentes from the LA Angels. Brian Fuentes is a 4 time All-Star and led the American League in saves a year ago. His welcoming had been worn out in LA and Minnesota will definitely take him. It was said Fuentes was claimed for a "player to be named later" or "cash considerations" so it is still in the air about what was given up for him. However, most Minnesota Twins fans feel like this is a good steal for the team. 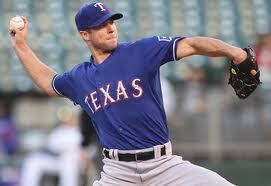 He will face mostly lefties and share opportunities with closer Matt Capps. Welcome aboard Flores and Fuentes! The Minnesota Twins took the final game of a 4 game series with the Texas Rangers by a score of 6-4. They defeated the ace of the staff Cliff Lee and Delmon Young's 3 run home run was huge in the 2rd inning. Francisco Liriano pitched wonderfully in 7 innings and Jim Thome also homered for the Twins. In a 3 game series in Seattle over the weekend, the Minnesota Twins won the first 2 before losing on Sunday afternoon. The Minnesota Twins won 6-3 on Friday night and 1-0 on Saturday afternoon. Scott Baker picked up the win on Friday night behind Joe Mauer's 3-5 night with 2 RBI. Nick Blackburn pitched a gem on Saturday afternoon, with 8 2/3 innings and only surrending 2 hits (both in the 1st inning). Brian Fuentes recorded the save on the last out of the game. On Sunday, the Mariners scored 2 runs in the 7th inning and beat the Twins 2-1. The Minnesota Twins were defeated 4-3 on Wednesday night by the Texas Rangers. Vladimir Guerrero hit a solo home run in the 6th inning to secure the win. The team will have to find it's game quickly because they have another game tonight against the Rangers. The Twins are 2-5 in their last 7 games and are going to need to play better if they want to win the AL Central Division. They still remain 3.5 games ahead of the Chicago White Sox but there are still many games left. Tonight Francisco Liriano will square off against the ace Cliff Lee. 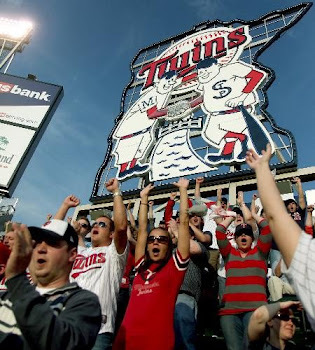 Check out Ticket King for any Minnesota Twins tickets! The Minnesota Twins lost 4-0 and 4-3 in the first 2 of a 4 game series in Arlington, Texas to the Texas Rangers. On Monday night, Rangers pitcher Rich Harden threw 6 and 2/3 no-hit baseball before being pulled because of a pitch count (sound familiar?). The Rangers continued the no-hitter with their bullpen into the 9th inning when Joe Mauer finally broke it up with 2 outs left in the game. 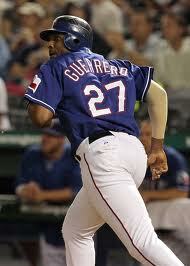 His line drive single barely avoided shortstop Elvis Andrus's glove. With that said, the team lost 4-0. On Tuesday night, the Twins could not capitalize on their scoring chances and lost 4-3. Carl Pavano pitched a complete game but the Twins could not deliver when they had guys on the bases. Hopefully we can steal the last 2 games before heading to Seattle. Brian Duensing goes against C.J. Wilson tonight in Arlington. The Minnesota Twins took 2 of 3 from the Los Angeles Angels of Anaheim over the weekend. The Twins opened the series with a 7-2 victory on Friday night. Brian Duensing was sharp in 8 innings and only gave up 1 run to improve to 8-1 on the year. On Saturday afternoon, the Angels won 9-3 behind rookie Peter Bourjos's big day. Kevin Slowey and Ron Mahay were placed on the DL immediately after the game. The Angels scored 9 unanswered runs after a 3-0 first inning lead by the Twins. 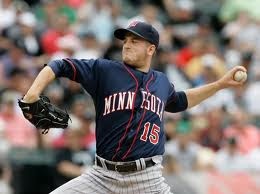 On Sunday night, Scott Baker pitched magnificently in 7 innings and the Minnesota Twins won 4-0. Danny Valencia hit an absolute bomb to left field and Michael Cuddyer had an awesome at bat with a bases clearing double on the 9th pitch of the at bat. The Twins will now take on the Texas Rangers for a 4 game series in Texas starting Monday. The hottest team in baseball since the All-Star break? Your Minnesota Twins. The Minnesota Twins defeated the Chicago White Sox 7-6 in 10 innings on Tuesday night and 7-6 again on Wednesday night. On Tuesday, Jim Thome hit a walk-off 2 run bomb that went well into Target Plaza and sent the crowd into a frenzy as it was Target Field's first walk off homer. It was Jim Thome's 17th of the season. Delmon Young also hit a bomb of a solo home run to left field. On Tuesday night, Joe Mauer hit his 1st home run at Target Field and collected 4 hits total, Jeff Manship pitched great in relief, and Delmon Young/Jason Kubel/Danny Valencia/JJ Hardy all came through in key moments. The team has now won 9 in a row at Target Field and are 24-7 in their last 31 games. Keep it up Minnesota Twins! On Sunday afternoon, starting pitcher Kevin Slowey completed 7 innings without a hit. After the 7th, Ron Gardenhire pulled him in favor for the bullpen. Relief pitcher Jon Rauch gave up back to back doubles and Matt Capps surrendered one hit so there would be no no-hitter at Target Field on Sunday. I can't blame the fans that were at the game - but there were pretty loud boos throughout Target Field. I agree with Gardy and here's why: Kevin Slowey had pitched 106 pitches. He was coming off of elbow tendinitis and missed his last start. Keeping him healthy will be important for the Twins run down the stretch. If he stayed in the 8th or 9th and surrendered a hit, would it have been worth it? It's all hypothetical but at the end of the day I trust Gardy. He knows when to control his players and keep them fresh. Hopefully Twins fans can see that too. As someone once said, "Twins baseball, is very good baseball." The Minnesota Twins swept the Oakland Athletics over the weekend at Target Field. Not a bad way to start a homestand. Simply put: The Twins are playing good baseball. They now lead the AL Central by 3 games and have a crucial series with the Chicago White Sox. 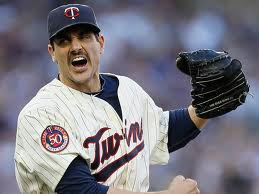 On Friday, Carl Pavano pitched for his 15th victory and the Twins won a game that they probably were outplayed 4-3. The A's outhit the Twins by 9 hits. Postgame fire works followed the game - which I was at and was awesome! On Satuday, behind Brian Duensing's complete game 3 hitter the Minnesota Twins defeated the Oakland A's 2-0. Joe Mauer was 3-4. On Sunday, Minnesota completed the sweep with a 4-2 victory. Pitcher Kevin Slowey threw 7 innings of no hit baseball before being pulled - but that's for the next post. The Minnesota Twins continue to stay hot after the All-Star break even with Justin Morneau on the DL. Keep it up Twins! The Twins and White Sox came into the series tied. After the first 2 games, it is still tied. 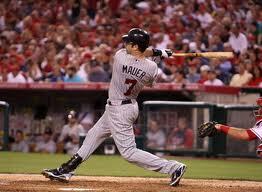 On Tuesday night, the Minnesota Twins defeated the Chicago White Sox 12-6 in which 5 different Twins players homered. Scott Baker picked up his 10th win on the year and the Twins provided the offense for him. JJ Hardy, Jim Thome, Joe Mauer, Michael Cuddyer, and Jason Kubel all hit homers. On Wednesday night, the Chicago White Sox were victorious, winning 6-1. John Danks pitched 8 innings and surrendering only 1 run. Glen Perkins lasted 4 2/3 innings giving up 5 runs. Overall, the Twins did not play a good game having 2 errors with only 6 hits to show for it. The rubber match is tonight with Francisco Liriano vs. Gavin Floyd on the mound. The Chicago White Sox and the Minnesota Twins are tied in first place with a 63-49 record after the Baltimore Orioles walk-off victory last night against Chicago. With 50 games to go the two teams are deadlocked right now (another Game 163 perhaps??). The two teams start a 3 game series tonight in Chicago that seems a little bit like playoff baseball. Even without first baseman Justin Morneau, the Twins have been playing good fundamental baseball and are looking to gain some ground in the division. Starting pitcher Kevin Slowey will miss his scheduled start on Wednesday and the Twins plan to start Glen Perkins from AAA. It is a big series and hopefully the Minnesota Twins can take the series. Scott Baker will take the mound tonight vs. Freddy Garcia. Go Twins! After dropping the first game in the series 7-6, the Minnesota Twins won the final two games and took the series. On Friday night, Matt LaPorta hit a walk off home run off of Matt Guerrier in the bottom of the 9th inning after the Twins rallied to tie the game 6-6. Alexi Casilla had 4 rbi's including a clutch 2 rbi hit in the top of the 9th. There was a little bit of drama about Jim Thome's disallowed homer in the 9th, that was ultimately ruled a double. On Saturday, Carl Pavano pitched out of some jams and claimed his 14th victory of the season with a 7-2 win. He limited his former team to two runs over seven innings. Joe Mauer went 4-5, Jason Kubel went 2-3 with a home run, and Michael Cuddyer went 3-5. The Twins wore the St. Paul Gophers throwback uniforms from 1909. On Sunday, Brian Duensing settled down after a rough first inning and held the Indians to 4 runs over 7 and 1/3 innings. Matt Guerrier and Matt Capps finished off the game. A 5 run 5th inning was key for the Minnesota Twins, including a Jim Thome home run. Now, the Minnesota Twins are 1/2 game back in the AL Central behind the Chicago White Sox and travel to Chicago for a 3 game series. After dropping the first 2 games of the series, the Minnesota Twins salvaged a split with the one of the Major League's best team in the Tampa Bay Rays. Both victories were filled with drama and spectacular starts from their starting pitchers. 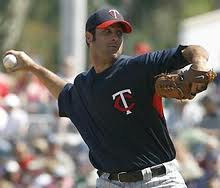 On Wednesday night, Scott Baker pitched 8 scoreless innings and the Minnesota Twins won 2-1 in 13 quick innings. The score was 1-0 heading into the 9th when Minnesota closer Matt Capps unfortunately blew a save (although there was a botched play that led to a leadoff double). However, the Twins recovered and were able to get a Delmon Young single to take the lead in the top of the 13th. On Thursday afternoon, the Minnesota Twins were cruising to a 6-0 lead going into the 8th inning after a wonderful start by Kevin Slowey. After a pinch hit Jason Bartlett (ex-Twin) grand slam to tie it 6-6 in the bottom of the 8th, the Twins could have easily just let one get away. However, again they battled back and got a little bit of luck to say the least. Jason Kubel hit the "catwalk" on top of the roof at Tropicana Field and allowed a routine popup to fall short of the pitcher's mound. This allowed the runner on 3rd to score. Michael Cuddyer followed up with a single and made it 8-6. Matt Capps came in for the save and closed the door. The Minnesota Twins will travel to the Cleveland Indians for a 3 game series. The Minnesota Twins have lost the first two games in a four game series with the Tampa Bay Rays. On Monday night, the Minnesota Twins were defeated 4-2 and on Tuesday night they were defeated 6-4. Carl Pavano was responsible for the loss in the first game and Matt Guerrier recorded the loss in the second game. Scott Baker will pitch tonight and face off against David Price who is 14-5 on the year. After tomorrow's final game of the series the Twins will travel to Cleveland to take on the Cleveland Indians. Streak Reaches 8 In a Row! The Minnesota Twins have now won 8 in a row heading into a 4 game series with the Tampa Bay Rays. The 8 game streak consists of defeating the Baltimore Orioles (2 times), Kansas City Royals (3 times), and the Seattle Mariners (3 times). Since the All-Star break they are 12-4 and have put themselves at a season high 13 games above .500 at 59-46. The Minnesota Twins are playing great baseball and are in a tight race with the Chicago White Sox for the AL Central, trailing by .5 games. The rotation has been fantastic during the streak including Francisco Liriano's current 21 scoreless inning streak. The Minnesota Twins are peaking at the right time and hope it can continue for the 10 game road trip.